Self and peer correction help students to revise and check their own learning as they focus on writing as a process. Apart from creating confidence and dialogue among students, when we analyse another person’s writing to the best of our ability, we are often able to notice those types of formal or communicative gaps that allow us to confirm or reject any hypotheses we may have about the language at that point, and therefore improve our learning. 1. Students sit in groups of 4 with a blank paper, they number themselves off, and write their numbers on their piece of paper. 3. Explain that the goal is to write a series of narrative stories collaboratively. Go over the main elements of a narrative text (setting, characters, plot, solution, most common tenses, typical connectors, and so on.) Also, state that they’ll be reading each other’s writing during the activity, so their handwriting, grammar and word choice should be as clear as possible to avoid communicative problems. 4. During the first 5 minutes, students work on the beginning of their own story independently, which typically consists of describing the setting and perhaps introducing one of the characters. I usually allow them to use 2 or 3 words from the list, which helps them with ideas and makes the whole process less intimidating for some students. 5. When the time is up, the students in each team rotate the papers: number 1s give out their papers to number 2s, number 2s to 3s, 3s to 4s, and 4s to 1s. During the next 5-6 minutes, students read the beginning of the story their classmate has just written and continue the story, describing a character that has been introduced or starting with the plot. 6. Students rotate the papers and repeat the same procedure. Brand new story to read and a new challenge to continue writing! Students should still focus on the main plot at this point, incorporating a 2-3 words that haven’t been used yet in that particular story. 8. In this final rotation, the student who started each story reads what has become of it — very often to their amazement! Students ask any team members for clarification if needed. 9. Finally, students write an ending to the story they started at the beginning of the activity. In 25-30 minutes, students get to actively participate in reading and writing four different narrative stories at different stages. Although there is pressure to write, students can write at their own performance level and any length they can. In fact, I’ve always found the weaker or more reluctant students do write in this type of setting. Students also have an immediate audience who will read what they write in a few minutes. This demands that handwriting, grammar or word choice need to be as clear as possible so as not to cause confusion. Funnily enough, the activity generates a vast number of connectors — very often more than needed. I guess the type of thinking behind this is: “Fine. Now, what should I do with this?! Let’s see…”, and this sort of creates the need to start with a linking expression that helps to confirm there’s a new writer on board. The students who started and finished the story are finally responsible for correcting (and sometimes rewriting) their papers. This depends on the level of the students and your specific objectives: you can simply have students correct the paper with a rubric or allow them to edit it and work on style as well. A basic checklist would include items related to organisation, grammar, vocabulary, punctuation, spelling, cohesion and coherence. In both cases, students are required to hand in both the original and the revised papers at the end. Students can also point out the strengths and weaknesses of the final product and how they would improve that piece of writing — especially after all those crazy ideas and impossible plot twists! Indeed, that’s what these written stories often end up being all about (especially if you work with teenagers!) And that’s what makes sharing them with the rest of the class, either before or after editing, the most meaningful and entertaining. After all, it’s no individual’s responsibility but the whole group’s, and the students enjoy sharing their unique ideas and listening to what others have come up with. After some whole-group discussion, can they now choose their favourite story and explain why? Language learning is a life-long process. Developing learner autonomy and responsibility for their own learning seems to be one of the best things we can do to get our students ready for that journey. Learner autonomy, however, needs to be understood as a process rather than a state. It is often confused with encouraging self-instruction, and this could certainly be one of the consequences, but the idea goes far beyond that: by taking control of their learning, we want students to become more actively and deeply involved, try more difficult tasks, have a higher achievement, and know how to learn so that they can learn more efficiently. What’s more, it should help to boost their intrinsic motivation as they gain their own voice. So how can we encourage learner autonomy in our classrooms? If students understand that new learning is built on prior knowledge, and that their attitudes, beliefs, knowledge or connections do have an impact on new learning, then the content or material will become the most relevant — and learning will become easier and more efficient. In K-W-L, for instance, students complete the first column of the graphic organiser with what they already KNOW about the topic, the second one with what they WANT TO KNOW about it, and the third column with what they LEARNT about it after the lesson or unit. The two first columns, therefore, reflect the first steps in any new learning context both inside and outside the classroom. Students’ prior knowledge can also help us to choose contexts and topics that they may find meaningful. Designing classroom tasks that are authentic and which appeal to the students’ interests will help to boost meaningful interaction. What if students are not interested in a particular topic or context? Then use their prior knowledge and curiosity to introduce it through what they already know. Ask open-ended questions while accepting all sorts of answers equally. Encourage students to make connections, think critically, explore different possibilities. In writing and speaking tasks, it is very often possible to design tasks that ask students to write or speak at their own performance level using the same context or topic. 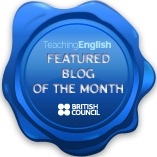 Other tools such as classroom blogs can be a good way to allow for individualisation. Flexible tasks in engaging contexts built upon their interests and knowledge are the first steps in making students active members in the learning process. Indeed, learner-centred interactive strategies provide extra motivation as they give students some control over the learning process. One of the best ways to set up an interactive classroom that is learner-centred while including individualisation is cooperative learning. Implement learning strategies that promote structured simultaneous interaction, equal participation and positive interdependence. Most importantly, in these settings students also learn to be accountable for their contributions and their own learning gains. Active language learners need to have a good repertoire of communication strategies at their disposal so that they can negotiate meaning. Encourage students to become risk-takers and help them understand that mistakes are an integral part of the learning process. Allowing choice in tasks is another way in which students can take control over their own learning. A homework choice board like this one, tic-tac-toe style task menus, or simply suggesting a variety of writing prompts or reading passages related to the same context or topic, can be good places to start. Get students to realise what areas they may need more work on so as to help them set up their own goals and try new strategies. This worksheet, for example, can help students to reflect on different aspects of a lesson while allowing choice. Reflection is one step towards self-assessment. Peer-assessment is another one: students often need to be exposed to other types of feedback before they can assess themselves in an effective manner. Allow students to write a few test questions, quiz each other, grade themselves with pre-established rubrics. Reflection and self-assessment need to be modelled, making the thinking process explicit so that the students can identify the importance of doing it. And this actually holds true for the whole learning experience. Explain the reasons behind doing a particular task or practising a specific skill, why you are suggesting a given text, or the benefits of planning your writing so it can suit different communicative purposes. Understanding the rationale of the tasks will ultimately help students understand how learning happens and make their future learning experiences more and more efficient — even help them become autonomous learners in charge of their own learning. Apart from traditional homework tasks based on lessons delivered in the classroom, there is still a myriad of activities students can do by themselves to practise their English, learn to work independently, and take responsibility for their own learning. Learner autonomy is in fact one of the most important things we can promote if we really want to get our students ready for the ongoing, life-long language learning endeavour. Students can choose the tasks based on their personal interests, or areas they feel they need more work on, which should result in extra motivation. In the process of choosing an activity, students will be taking into account the skills and language items that are being practised in class, but also what is relevant to them, especially when they can connect the task with their own life. The activities in the board are also flexible as far as proficiency level is concerned, which means that students can work at their own performance level. A few tasks have been designed so that they can be used later in class, resulting in excellent materials based on students’ interests which can be introduced in different lessons later in the year. Although the tasks here have been selected so they are easy to keep track of, holding students accountable for their work, this should ideally be another step in helping students develop their learner independence skills. How would you use this board in your own student tracking system? How would you assess each of these tasks? A few months ago I travelled to Finland with a group of students as part of an exchange programme my school organises every other year. English is usually the language of communication among students in this type of programme. They may practise some Spanish when they visit us, and proficiency levels will vary, but at the end of the day the language most of them feel most comfortable with for communicative purposes is English. This time, however, my students soon drew my attention to one of the Finnish students who spoke mainly in Spanish, impressed both by his language skills and the speed with which he had reached that proficiency level: barely over a year and his Spanish already at a B1+/B2 level. Admittedly, Joona Andersson is an 18-year-old secondary school student with a special gift for learning in general, and languages in particular, but after speaking to him and some of his teachers I couldn’t but wonder if there was something we could learn from his otherwise exceptional experience — and ability — that could still be applicable to other language learners. While it’s true that the learning process for him has been extraordinarily fast and efficient for a number of reasons, are there any specific motivations, activities or experiences that could be used by other students and which could help them boost their language learning skills? So how did Joona use that extra motivation? In today’s high-tech world, it shouldn’t be that difficult to build connections and keep up relationships no matter the distance, provided you are offered the right opportunities. But this, again, requires a high degree of personal commitment. Joona says one of the things that has helped him with the foreign languages he speaks has a lot to do with “the foreign exchange students who I became very good friends with. I talk to them daily, and most of them never learned Finnish, which means I get a lot of practice in other languages.” An immediate implication is the need for schools and teachers to foster this type of relationships through exchange or e-pal projects, for instance. In “On The Same Page” (Alli Norman and Carla Lutz, 2015), an introverted journalist for the local news section “has nothing to write about until he is whirled away into a colourful journey with his neighbour from the comic section.” Similarly, the students in this video-based lesson are asked to become active learners and have lots to say by making predictions at various stages in the story, raising questions about what they have have just watched, or sharing their personal reactions in the hope of enhancing their critical thinking skills while practising the language. The goal here is to set up a dialogue that is student-driven and through which the students will both demonstrate comprehension and engage in meaningful conversations with the visual text. What is more, this provides a flexible framework which allows for each student to work at their own performance level. Write a question. These can be based on facts, but they can also promote deeper thinking such as asking other students to analyse the plot or the characters, or express their own opinion. Questions charts like this one can help in making sure students come up with different kinds of questions. Write a personal response or reaction. By making connections between what has happened in the film and the students’ own experiences, or other similar experiences, the students will reflect on the actions and express what they mean to them personally. Write a prediction. This helps the students to keep focused on the story and to refine, revise and verify its plot and the key elements as they watch. Such an approach demands that a variety of sharing strategies be used throughout the activity. While this is largely conditioned by class size, strategies should involve pairs of students (see Think-Pair-Share), groups (see Numbered Heads Together, Rountable, Roundrobin), and the whole class. 1. Elicit the typical sections of a newspaper. Tell the students the story in the short film takes place at a newspaper and that one of the main characters is a journalist who works for the local news section. 2. 00:00-1:02 – LOCAL NEWS & COMICS. The students write a question about the main male character (e.g. Where does he work?, Why does he have nothing to write about? ), a personal reaction to the main female character (How is the comics section different?, What is the girl like?, Why does she throw a ball at his window? ), and a prediction of what they think will happen next. The students share each of these with their partners. 4. 1:20-1:31 – ENTERTAINMENT. Personal response, perhaps based on the film titles, or a connection with the weather in the previous section or the plot so far. 5. 1:31-2:00 – FINANCE. Question. 6. 2:00-2:07 – SPORTS. Prediction. 7. 2:07-2:28 – OBITUARIES. Personal reaction. 8. The students are asked to think of two possible endings. 9. 2:28-END – Hold a whole-class discussion by using the final questions, personal responses and predictions as prompts. Can the students now explain the meaning of “to be on the same page” and the reason why the filmmakers chose it for this story? Change and finiteness are two of the main themes in “Everybody’s Changing” (Keane, 2003), topics which students should be able to relate to in different ways and around which a good reflective speaking lesson can revolve. Conversation questions such as these or these are good examples, although they may need to be adapted to the age group you’re teaching. Black squares represent spaces between words. Each letter can only be used once, so students should be crossing out the letters as they use them. Students should start by looking for the shorter words first, which typically belong to function words such as prepositions, articles, conjunctions or pronouns. This will then allow them to identify word categories and help them to think of the type of word they should be coming up with. Other clues such as isolated letters, apostrophes, the position in the sentence and other context clues will help students solve the puzzle as the number of available letters falls. The activity can be adjusted to different levels by pre-teaching a few words we may think the students will find difficult, or by adding or deleting letters in each one of the grids. As with any other similar activities, it is also important that we model the procedure before having the students work independently or in their teams. By working out the first lines together and explaining the type of thinking behind each decision to be taken, the students will soon understand the type of language skills they should be practising and will accomplish the task more efficiently. Play the song at the end so that they can check their answers! Apart from the activity itself and all the skills involved, what I really like about the game is that, once it’s over, it is often possible for students to identify patterns and write rules that may have gone previously unnoticed. Do you use dominoes in your teaching? On the same page Create a free website or blog at WordPress.com.